A carrier that offers a hybrid wireless service with unlimited voice, text, and data for $19 a month announced Tuesday that it will accept new subscribers. Republic Wireless also said it has added a new model to its handset lineup. Republic Wireless, which is owned by Bandwidth.com, sold out its initial allocation of handsets in less than two hours when it launched its WiFi-first phone service last November. Republic Wireless has had tens of thousands of potential customers cooling their heels on a waiting list since that time. "When we opened for business we had, literally, hundreds of thousands of folks melt our site down and sold out our entire inventory of handsets," David Morken, Bandwidth.com CEO, told PCWorld. "At that time," Morken continued, "we started working on delivering great service to those folks and getting to a point where we could scale massively and reopen. That's what we're announcing today." Republic Wireless is built on a WiFi-first model. When one of its subscribers makes a phone call or accesses a network, its customized handsets first tries to make the connection through a WiFi network. If that fails, it will then use a cellular network. Republic's cellular partner is Sprint. Subscribers pay $19 a month for unlimited voice, text, and data, with no contracts. Initially, the carrier imposed limits on off-WiFi usage, but it later scrapped them and removed the restrictions on the service. However, there is a caveat to joining Republic. You have to buy one of its customized handsets for $249 to use the system. Over the months since its launch, Republic has been tweaking the custom software in its handsets and adding personnel—it has gone from 10 employees to 100—to optimize its customers' experience. With Tuesday's announcement, Republic will begin bringing new customers aboard in "waves" from its existing waiting list. "We'll open the service up to several thousand people at a time until we cycle through the full population [on the list]," Morken explained. "We're doing this in waves to prevent a tsunami from happening again," he added. "But eventually, and we hope that means a mere matter of weeks, we should have a wide-open offer which will be available to anyone coming to the door." 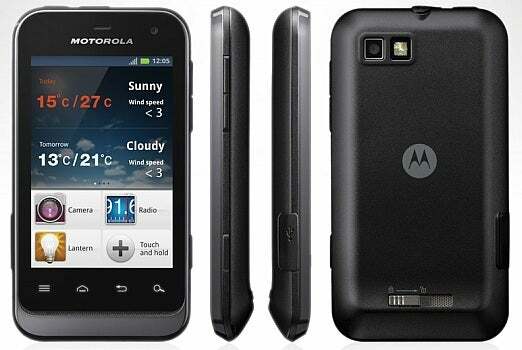 New Republic members will also be offered a new model handset, the Motorola Defy XT ($249). Original subscribers were issued an LG Optimus S phone. The subscribers with the LG phone can upgrade to the Motorola model for $149 or get free service from the carrier for the rest of the year. The Android-based Defy XT has a 3.7-inch display that's water-resistant, dustproof, and scratch-resistant with its Corning Gorilla Glass display. In addition, it has a 1Ghz processor, a front-facing VGA camera and a 5-megapixel rear-facing shooter with auto-focus, LED flash, and 4X digital zoom, as well as a 1650 mAh battery optimized for longer life. What the Deft XT doesn't have—and neither did the LG model—is support for multimedia messaging (MMS) and an automatic handshake from WiFi to cellular service. When Republic members stray from their WiFi connection in the middle of a task, the transition to cellular must be made manually. Morken said Republic is working on enabling those services. 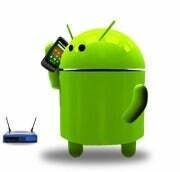 The Deft XT also runs Android 2.3 (Gingerbread), not the latest version of Google's mobile operating system. Morken hopes to change that in the future. "Part of Republic's mission is to be the best and the first to market with the latest version of Android," he declared.